Guerrilla warfare is a form of irregular warfare in which a small group of combatants such as armed civilians (or "irregulars") use military tactics including ambushes, sabotage, raids, petty warfare, the element of surprise, and extraordinary mobility to dominate a larger and less-mobile traditional army, or strike an invulnerable target, and withdraw almost immediately. The term means "little war" in Spanish, and the word, guerrilla (Spanish pronunciation: [ɡeˈriʎa]), has been used to describe the concept since the 18th century, and perhaps earlier. In correct Spanish usage, a person who is a member of a guerrilla is a guerrillero ([ɡeriˈʎeɾo]) if male, or a guerrillera if female. The term "guerrilla" was used in English as early as 1809, to describe the fighters (e.g., "The town was taken by the guerrillas"), and also (as in Spanish) to denote a group or band of such fighters. However, in most languages guerrilla still denotes the specific style of warfare. The use of the diminutive evokes the differences in number, scale, and scope between the guerrilla army and the formal, professional army of the state. Guerrilla tactics were presumably employed by prehistoric tribal warriors against enemy tribes. Evidence of conventional warfare, on the other hand, did not emerge until 3100 BC in Egypt and Mesopotamia. Since the Enlightenment, ideologies such as nationalism, liberalism, socialism, and religious fundamentalism have played an important role in shaping insurgencies and guerrilla warfare. 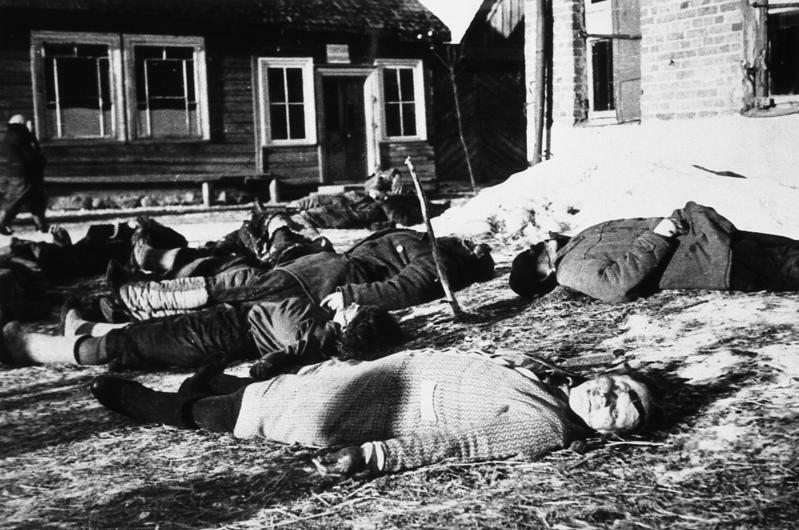 Under the cover of anti-partisan operations, the Nazis murdered civilians in 5,295 different localities in occupied Soviet Belarus. Some governments, however, give such considerations short shrift, and their counter-insurgency operations have involved mass of murder, genocide, and the massive spread of terror, torture and execution. Historian Timothy Snyder has written, "In the guise of anti-partisan actions, the Germans killed perhaps three quarters of a million people, about 350,000 in Belarus alone, and lower but comparable numbers in Poland and Yugoslavia. The Germans killed more than a hundred thousand Poles when suppressing the Warsaw Uprising of 1944." In the Vietnam War, the Americans "defoliated countless trees in areas where the communist North Vietnamese troops hid supply lines and conducted guerrilla warfare", (see Operation Ranch Hand). In the Soviet war in Afghanistan, the Soviets countered the U.S.–backed Mujahideen with a policy of scorched earth, driving over one third of the Afghan population into exile (over 5 million people), and carrying out widespread destruction of villages, granaries, crops, herds and irrigation systems, including the deadly and widespread mining of fields and pastures. Many modern countries employ manhunting doctrine to seek out and eliminate individual guerrillas. "Insurgents may not be seeking to overthrow the state, may have no coherent strategy or may pursue a faith-based approach difficult to counter with traditional methods. There may be numerous competing insurgencies in one theater, meaning that the counterinsurgent must control the overall environment rather than defeat a specific enemy. The actions of individuals and the propaganda effect of a subjective “single narrative” may far outweigh practical progress, rendering counterinsurgency even more non-linear and unpredictable than before. The counterinsurgent, not the insurgent, may initiate the conflict and represent the forces of revolutionary change. The economic relationship between insurgent and population may be diametrically opposed to classical theory. And insurgent tactics, based on exploiting the propaganda effects of urban bombing, may invalidate some classical tactics and render others, like patrolling, counterproductive under some circumstances. Thus, field evidence suggests, classical theory is necessary but not sufficient for success against contemporary insurgencies." In the 1960s, the Marxist revolutionary Che Guevara developed the foco (Spanish language: foquismo ) theory of revolution in his book Guerrilla Warfare, based on his experiences during the 1959 Cuban Revolution. This theory was later formalized as "focalism" by Régis Debray. Its central principle is that vanguardism by cadres of small, fast-moving paramilitary groups can provide a focus for popular discontent against a sitting regime, and thereby lead a general insurrection. Although the original approach was to mobilize and launch attacks from rural areas, many foco ideas were adapted into urban guerrilla warfare movements. ↑ Van Creveld, Martin (2000). "Technology and War II:Postmodern War?". In Charles Townshend. The Oxford History of Modern War. New York, USA: Oxford University Press. pp. 356–358. ISBN 0-19-285373-2. ↑ Mao Tse-tung, “A Single Spark Can Start a Prairie Fire”, Selected Works, Eng. ed., FLP, Peking, 1965, Vol. I. ↑ Guevara, Ernesto; Loveman, Brian; Thomas m. Davies, Jr (1985). Guerrilla Warfare. ISBN 9780842026789. http://books.google.com/?id=vRg2GDIohVcC&pg=PA52&lpg=PA52&dq=used+by+the+side+which+is+supported+by+a+majority+but+which+possesses+a+much+smaller+number+of+arms+for+use+in+defense+against+oppression#v=onepage&q=used%20by%20the%20side%20which%20is%20supported%20by%20a%20majority%20but%20which%20possesses%20a%20much%20smaller%20number%20of%20arms%20for%20use%20in%20defense%20against%20oppression&f=false. ↑ Failoa, Anthony (13 November 2006). "In Vietnam, Old Foes Take Aim at War's Toxic Legacy". The Washington Post. http://www.washingtonpost.com/wp-dyn/content/article/2006/11/12/AR2006111201065.html. Retrieved 31 October 2011. Peers, William R.; Brelis, Dean. Behind the Burma Road: The Story of America’s Most Successful Guerrilla Force. Boston: Little, Brown & Co., 1963.